Martin Scorsese is known to all, cinephile or common moviegoer, as one of the greats. Raging Bull is one of the films that set him apart from every other filmmaker at the time and he continues to be a significant force in cinema. Raging Bull was also one the catalysts to propel Robert DeNiro’s career and garner him respect as a serious actor. The life of boxer, Jake LaMotta, as the violence and temper that leads him to the top in the ring destroys his life outside of it. By 1980, Martin Scorsese was already an accomplished director. He helped usher in a whole new breed of moviemaking with Mean Streets, gave one of the best character studies ever made in Taxi Driver, and had helped redefine the concert film in The Last Waltz. 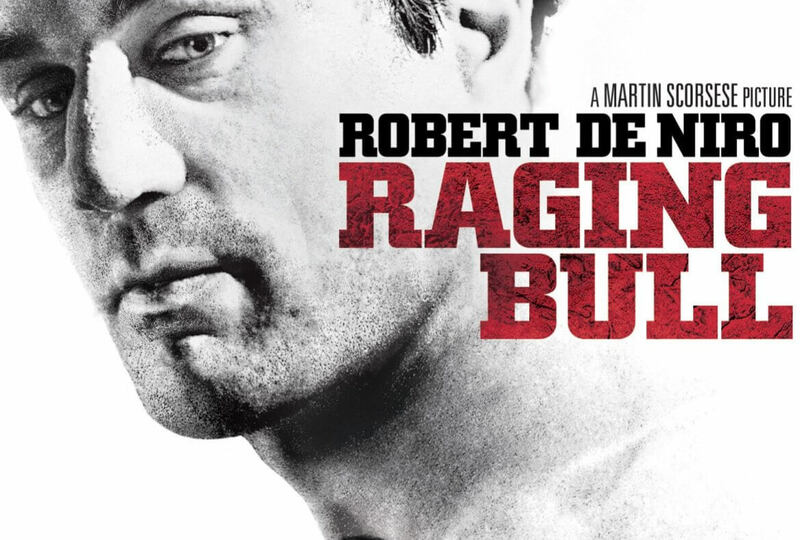 Raging Bull, however, cemented Scorsese’s reputation as one the all time great filmmakers, as well as cementing Robert DeNiro as one of the greatest actors of all time. At the time of it’s release, it was considered a failure but time has shown it to simply be too a departure for the audience in 1980. Great advancements are often misunderstood when they are first encountered and Raging Bull was certainly misunderstood. The audience of 1980 would have most certainly seen the first two films of the Rocky franchise, which gave the audience exactly what they wanted to experience from a boxing film. Raging Bull must have felt like Rocky’s worst nightmare. If Rocky expressed the accomplishment of the dreams of an American culture, Raging Bull expressed culture’s most cynical fears fully realized. Unfair expectations aside, today everything about the film feels fresh and creatively unique. The black and white cinematography is as beautiful as photography can get and the performances are big when they need to be, and subtle when they need to be. Raging Bull is a tragedy of epic proportions and every single punch that LaMotta gives or takes, whether they be metaphorical or actual punches, is deeply felt. By the end of the film you know Jake LaMotta through and through and understand both his great victories and, perhaps more importantly, his even greater failures. The question as to why Raging Bull was such a flop with critics and audiences is a fascinating one. The film has since become a highly regarded movie sitting at number 1 on the American Film Institute’s top 10 sports films of all time (Rocky sits below it at number 2) and at number 24 on their list of the top 100 movies of all time. Well respected and critically acclaimed, Raging Bull is a movie that has found a large audience without much of an attempt to attain them. The fact that this film puts the viewer in several difficult positions, portraying things that can be difficult to watch at times, offers a simple explanation of why the film did so bad shortly after it’s release. Several scenes in the film are shown with such clarity and unabashed honesty that it places the viewer in a very awkward position, causing one to feel as if they are eavesdropping on a very private conversation. There are also quite a few scenes that depict extreme violence and anger whether it be LaMotta in the ring facing an opponent, or at home facing a member of his own family. Raging Bull most definitely does not sugar coat or apologize for anything. It is simply about a very troubled man trying to live his life the best way he knows how. Another notable factor is the way the director, Martin Scorsese, humanizes every character in the film. In this movie there is not a single character that the viewer is always rooting for. At one point or another it seems that each person has both good qualities as well as bad ones. This causes a dichotomy in which everyone is a potential good guy while being a potential bad guy, a theme that Scorsese seemed to enjoy. This very well could have been the view of Scorsese, LaMotta, or both. In the difficult times surrounding America in the late 70’s and late 40’s, anxiety and confusion were the norm. In a time when you do not know who is on your side and who is trying to take advantage of you, each person you come into contact with has the potential to be both. Either way, movies have always been a means of escape for the average moviegoer. Seeing one’s darkest moments from one’s own life on the big screen portrayed by characters that one does not want to identify with could not have been appealing. Putting people in awkward positions depicting the times much like the moments in their own lives that they would rather forget about is a great way to make a flop, no matter how great of a movie it is. Why is it difficult to encounter unabashed honesty? What ways do I avoid being honest with even myself? Is there a deeper truth to be mined from dark moments in life as compared to bright moments? If so, what is it? What is the point to my existence? Jake LaMotta chased after small things, mistaking them for the big things in life. How am I doing the exact same thing?